It’s not funny if you know or you suspected you have come in contact with poison ivy either by accident or through an attempt at removing it. The oil in poison ivy, called urushiol, can get onto your skin and cause an allergic reaction resulting in an itchy rash, swelling, bumps and blistering. When you’re hiking, camping, or in the woods, it’s wise to wear long sleeves and pants to prevent direct contact with poison ivy, poison sumac or poison oak. 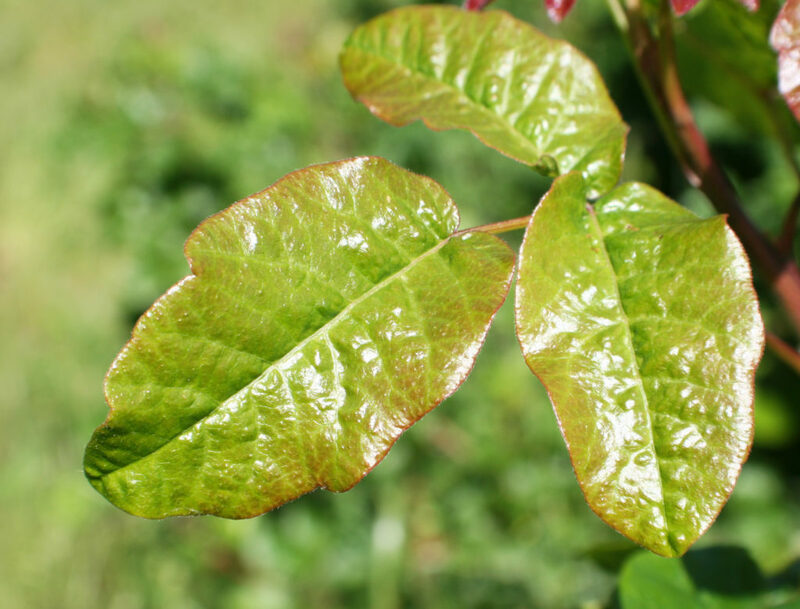 Of course, knowing how to identify poison ivy and poison oak is the best form of prevention.But no matter how careful you are, you might still be at risk of exposure through an indirect contact by simply touching your clothes or outdoor gear that have come in contact with poison ivy. Urushiol can remain active in contaminated clothing, shoes and gears for years. That’s why you need to properly wash all the clothes you’ve worn during the encounter to remove the harmful oil. However, it is not as simple as throwing it in the washer like a normal clothing. Let me share with you some simple steps on how to wash clothes that came in contact with poison ivy, poison oak, or poison sumac. Wear gloves when cleaning the exposed clothes with poison ivy. Separate contaminated clothing with uncontaminated things. Wash clothes separately from other clothing which are free from potential contamination. Just to be safe that the oil will not transfer while doing the process. Wash on hot water, heavy-duty load and longest cycle setting. Hot water can help break down the oils. Lots of hot water, agitation, and plenty of washing time are all it takes to remove urushiol from clothing. These settings are essential just to get rid of it and to help prevent residue from redepositing on your clothing and washing machine’s interior. Use a capful laundry detergent. Pour a full scoop detergent on the washing machine to remove the solubility of the urushiol on your clothes. It is also best option to use a degreaser detergent if in doubt using a regular one. Do not overload the washer. Clothes need to be able to move around freely in the water for a thorough cleaning. 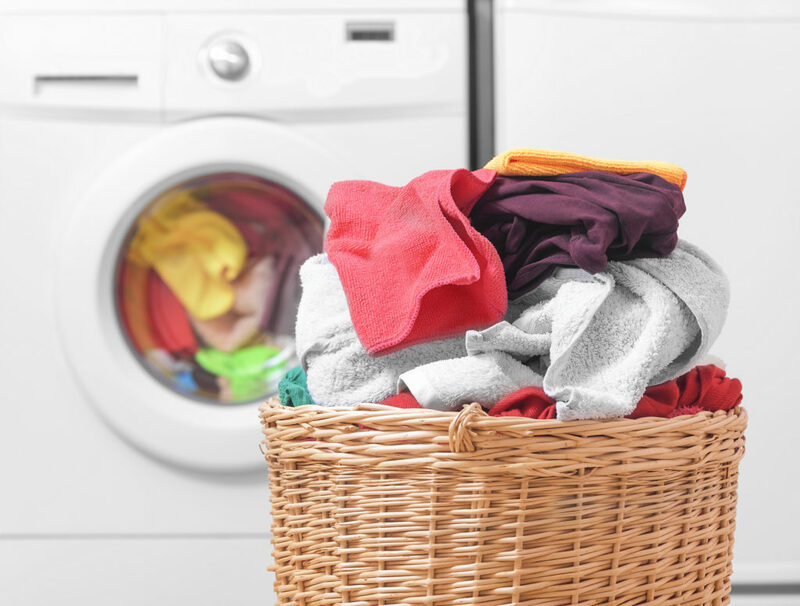 If necessary, divide your clothes into multiple loads so each load only fills your washer halfway at most. Repeat the process if necessary to eliminate all the oil. Wash clothes at least 3-4 cycle wash just to be on the safe side. Transfer your clothes to the dryer or just prefer to air dry them. Run the empty washer for one cycle on a hot self-cleaning cycle to ensure you’ve removed any residual oil. Wear long rubber gloves when hand-washing an item. Clean the non-machine washable items with hot water and detergent. Mix two tablespoons of laundry detergent with two cups (480 mL) of hot water. Soak a sponge with the cleaning solution, wash the item’s surface, then wipe away soapy residue with a wet cloth. Use a brush or toothbrush to scrub hard to reach places. Just remember to throw out the toothbrush and sponge when you’re finished. To clean the shoelace, remove them and soak them in the cleaning solution, then rinse them under hot water. Here’s another guide on how to remove poison ivy from shoes. Don’t forget to clean poison ivy off outdoor gear and tools. Garden tools, hiking gear, camping gear, climbing gear, golf clubs, jewelry, and any other exposed items must also be cleaned using a detergent, or alcohol. Rinsing them with rubbing alcohol will do the trick. If you don’t have any handy or are concerned about how alcohol might affect an object, wash it with laundry detergent and hot water. If you’re concerned about using detergent on leather garments or shoes, you can try applying a commercial urushiol removal product like Tecnu Original. Saturate contaminated, unwetted clothing with Tecnu in a dishpan or bucket. But before soaking it, check for colorfastness by testing a concealed corner of the clothes. Once tested, let it soak for several minutes then wash clothing by itself with hot water and detergent. Follow direction on the bottle to avoid ruining your clothes. 2. Saturate a dry cloth with the product, rub it onto the item, then wipe it away with a wet cloth. Check your product’s label or website to verify it’s safe for leather, and test it on an inconspicuous area first. 3. Take your clothing to a dry cleaner if necessary. If you have any doubts about hand-washing a delicate item, it’s best to leave it to the professionals to remove urushiol without any damage. Be sure to let your dry cleaner know that the items were exposed to poison ivy. Tecnu original is also effecting in cleaning poison ivy off gear. 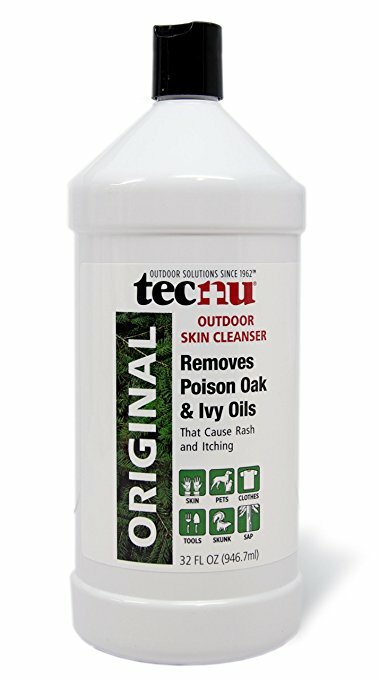 If you suspect contamination on your outdoor gear hiking boots or shoes, trekking pole, and other climbing or camping gear, it’s best to carry a bottle of Tecnu to wash off poison ivy oil toxin right after exposure. Here are also some tips on how to wash hammock exposed to poison ivy, oak, or sumac. This is the best and simplest way of dealing clothes exposed to poison ivy. Considering the pain involved with poison ivy, there are many that feel the best option is to simply bag up and throw away any contaminated clothing. Poison ivy is a uniquely painful experience and one well worth the price of even a favorite pair of pants to avoid.